Dr.Ajay Mahajan Completed his undergraduate Studies at Himachal Pradesh University and received his BDS degree from H.P.Government Dental College and Hospital Shimla,Himachal Pradesh,India. He did his Masters (MDS) in Periodontics from KingGeorge’sUniversity of Dental Sciences (now KGMU),Lucknow,Uttar-Pradesh,India,one of the oldest and most reputed dental institutes in India. Also, he has worked as a house surgeon in Post Graduate Institute Of Medical Education and Research and as a junior resident in Government Medical College and Hospital ,Chandigarh,India. He assumed a faculty position in the H.P.Government Dental College and Hospital Shimla,Himachal Pradesh,India in 2008 as a Senior Lecturer and currently working there as a Assistant Professor and a PG teacher guiding PG students. 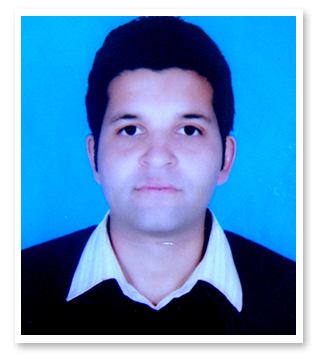 He has published many national and international research papers in journals of repute. Dr. Mahajan has a great interest in working for the betterment of underprivileged and the poor and was associated in assessing the oral health status of Tibetan immigrants residing in,Shimla,H.P. , India. He recently completed his Commonwealth academic fellowship sponsored by the government of U.K. from King's College London. Rare Bilateral Aberrant Internal Carotid Artery Diagnosed on Digital Subtraction Angiography-A New ?Eye Hook Sign?